CITYBUS says passenger numbers have increased by 17 per cent since it simplified its routes between Plympton and the city centre. ©Jos Van-Hemert. 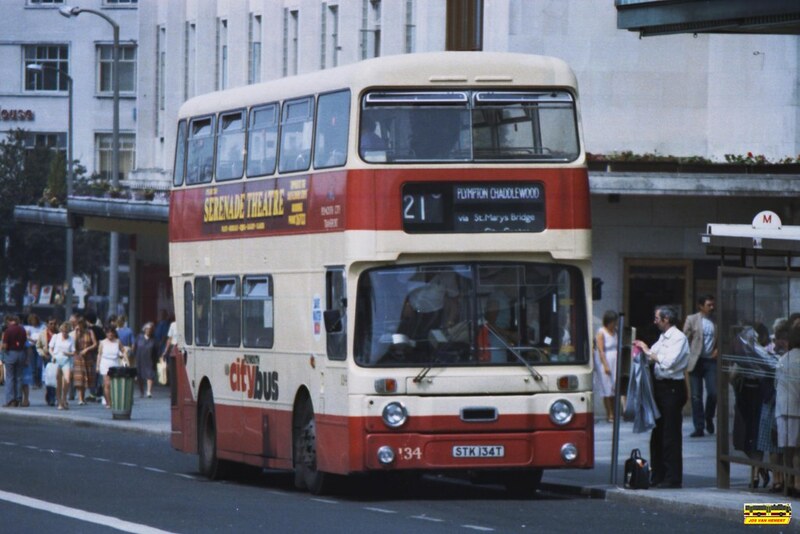 Leyland Atlantean 134 on Royal Parade back in 1984. Plymouth Citybus revised bus services between Plymouth and Plympton on June 6 following consultations with Plympton Chamber of Commerce and Plymouth City Council. Managing director Andrew Wickham said Citybus' new owner Go Ahead invested £300,000 to simplify the "confusing" number of services into just three routes that offer frequent buses to and from Plympton, which is already paying off. Mr Wickham said: "We are confident that our 'keep it simple' approach will continue to encourage new bus users. "Our aim is to work closer with those who represent employers and commuters to ensure that we can help to reduce parking and traffic congestion issues." But despite insisting that it was increasing the amount of buses between Plymouth and Plympton, the company still faced criticism from some quarters. Many angry residents voiced their concerns over changes to services —while Plympton councillors called for talks with the bus company.